MVC Tournament Bradley vs. Drake – Project 365 Day 62 a photo by Ladewig on Flickr. 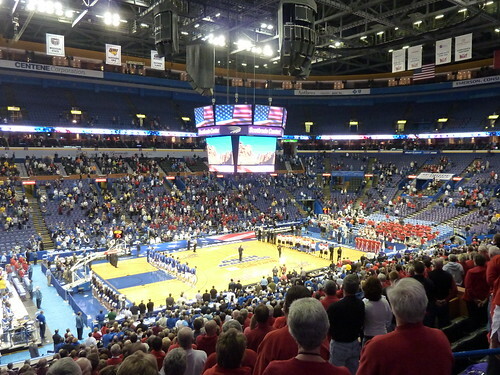 Getting ready for the Bradley vs. Drake game at the MVC Tournament in the Scottrade Center. Bradley managed to wint his game, but didn’t fare so well the following night vs. Wichita State.